I recently celebrated the first anniversary of my blog and flowers are always a good way to mark a special occasion. I launched Fragroom in December 2016 after leaving the corporate media world due to a bad case of burnout. It’s been a year of ups and downs and ups since then. Blogging is high maintenance, especially if you’re a control freak like me. I always have such doubts before I click “publish”. Is this self-indulgent rubbish? Will my readers find this useful and interesting? Must get Photoshop – look at the specks on that bottle! Mostly, though, it’s been an enriching experience. Learning new content skills and tricks. Learning from more experienced (and very generous) bloggers. Trusting my instincts. The satisfaction of getting likes and comments from my readers is what keeps me going. Yes, we blog for ourselves and about our passions, but no point blogging in a vacuum, is there? This collection of flowers from the communal gardens where I live in Bedfordview, Johannesburg, is my thank you to all those who have supported my blog so far. As a blogger, I spend way too much time in front of the computer screen. A walk in the garden always puts a smile on my face when I am working towards one of my deadlines. It’s time now for me to step back, unplug, spend time with family, friends, myself and a book… I will be back on the other side of 2017. Big thank you again. This post has been on my must-do list for several months since the opening of the Dutch niche brands retailer, Skins Cosmetics, in Johannesburg. As I am a bit of a Christmas Grinch, I didn’t want this post to be specifically about Christmas gifting (naff!). This is not a comprehensive list of all the fragrance shopping options in the city, but it’s a start for locals and visitors alike. I will update it over the course of 2018, with other South African cities to follow, too. Suffice to say, fragrance shopping in Johannesburg is an increasingly mixed bag. While designer fragrances still dominate the scene, niche fragrances are at last getting the attention they deserve in the economic capital of South Africa. We’ll start in the northern suburbs of Johannesburg. As this is the wealthy part of the city, most of the fragrance shopping is to be found here, particularly in shopping malls. Oh, we do love our malls in Johannesburg! 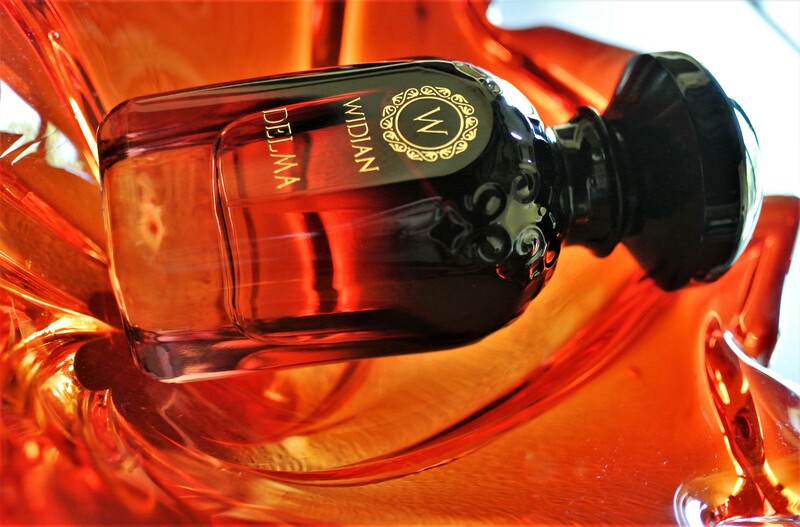 DELUXE DESTINATION: Armani Privé, Tom Ford and Frédéric’ Malle are some of the perfume brands to be found at Luminance in Johannesburg’s northern suburbs. All store pics supplied. Fragrance pics my own. Don’t be put off by the intimidating shop front. Once inside this store, you will find top perfume brands among the designer clothing, including Tom Ford, Armani Privé, Frédéric’ Malle, Comme des Garçons and Diptyque. As far as I know this is the only place in South Africa that stocks the venerable Santa Maria Novella range, since the dedicated store closed in Cape Town. These fragrances caught my eye and nose during my most recent Luminance visit. An exceptional take on tuberose (and other white florals) from Dominique Ropion that casts a sensual (but never suffocating) spell. It also features an utterly gorgeous coconut note. A smoky (almost burnt) composition that intrigues from start to finish. Black pepper, incense, olibanum, leather, liquorice, pepperwood and vetiver are among the stand-out notes. Damask rose, oud, patchouli and vanilla get the Middle East treatment. Even if oriental perfumes are not your thing, this top-notch scent is one to be explored and adored. The Dutch niche brands retailer is the newest addition to the Johannesburg fragrance shopping scene. It stocks an impressive selection of heritage and experimental brands. With 36 fragrance brands, it’s easy to get greedy here (guilty as charged). The staff are very helpful and enthusiastic. For serious buyers a personal consultation, refreshments and a generous supply of samples are part of the package. It’s also home to a variety of niche beauty and homeware brands, including Marie-Stella-Maris, Algenist, Eve Lom, Fornasetti, MenScience, Molton Brown, Susanne Kaufmann and Verso. With so many brands to explore, Skins Cosmetics demands several visits. These are just some of the fragrances I sniffed out during my expedition earlier this month. Hmmm… Curious! 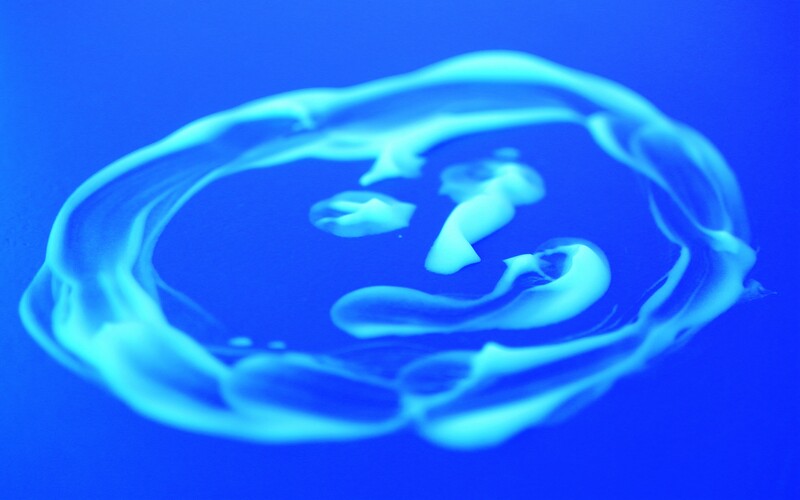 Although whisky is not an officially listed note, the opening is drenched in it. When the whisky runs dry, notes of coconut milk, iris, patchouli, cedar, amber and myrrh come to the fore. A soft floral (jasmine, freesia, geranium) and spicy (nutmeg) scent from this Abu Dhabi perfume house founded by Ali Aljaberi. Although on the sweeter side (peach and marshmallow notes alert! ), it’s surprisingly subtle. I tried this one because of its ooh-la-la name and seductive notes (ylang-ylang, tuberose, Bulgarian rose, gardenia, sandalwood, cedar). While it doesn’t quite live up to the promise of it name, it’s still a well-executed Alberto Morillas creation. 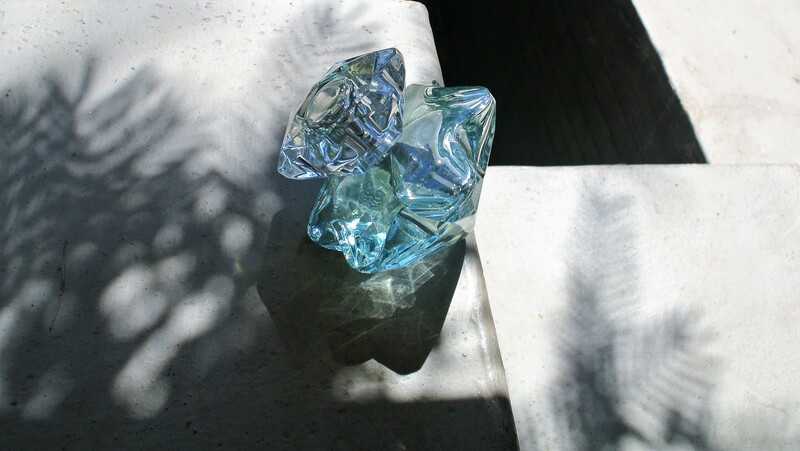 Perfumer Alessandro Gualtieri turns up the ante with three notes – bergamot, mandarin orange and patchouli. It’s potent, statement-making stuff. Another Alessandro Gualtieri creation. 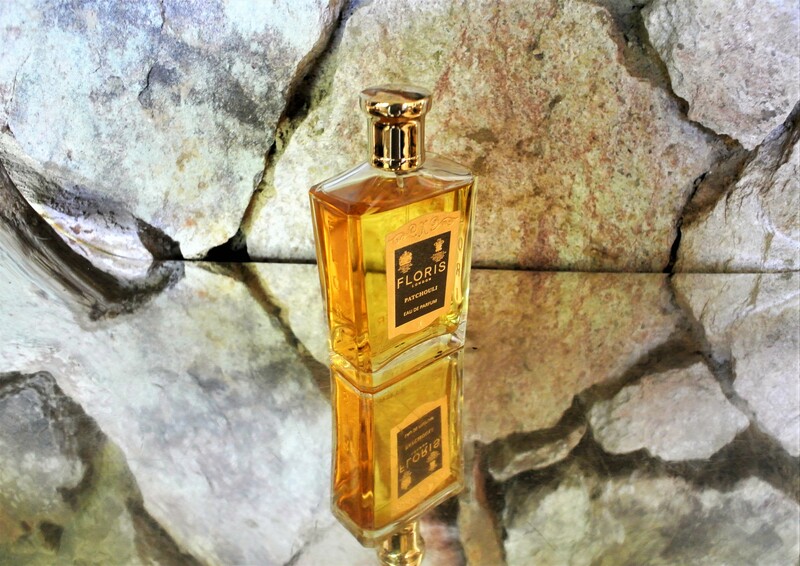 Deliciously deep and earthy, with wormwood, vetiver and green notes, it’s one of those love-or-hate fragrances. Either way, you’ve got to admire its chutzpah. Let’s not forget mass market retailers for fragrance shopping in Johannesburg. This branch of the nationwide pharmacy chain is my local spot where I go for a catch-up on all the new designer fragrance releases. What I like most about this store is the friendliness and knowledge of the staff. They actually want your business and don’t treat you like a potential shoplifter if you’re just browsing! I am frequently astonished by the number of fragrance launches every year. It’s why I spend a fair amount of time loitering with intent (aka market intell for fragrance reviews) in retailers. I like to think of it as an act of public service. What’s new, what’s worth spending your hard-earned cash on? What’s so-so (although, do keep in mind, it’s just my opinion)? Breezy and believable Mediterranean vibe in an uber-cool flacon. An old-school-ish composition of citrus, herbal and aquatic notes make this a must-try. R1 195 for 75 ml and R1 395 for 100ml. Such a pretty bottle! Such a terrible name! The juice itself is sweet and luxurious, with accents of almond and pistachio notes, among others. Better than its (millennial-bait) name suggests. R840 for 30ml, R1 330 for 50ml and R1 795 for 90ml. The latest in the Boss Bottled franchise is an unashamed crowd-pleaser. Nothing wrong with that when this combo of apple, geranium, cinnamon and woody notes is so easy to wear. R1 235 for 100ml. Med-inspired juice, with prominent notes of grapefruit, lemon, lavender, ginger and apple. Not particularly original, but nonetheless fresh and elegant. R790 for 50ml and R1 060 for 100ml. Fruity (peach, litchi) meets floralcy (magnolia, rose) in this lighter, summer garden-inspired incarnation of the Lady Emblem range. Sweet and sophisticated. R745 for 30ml, R995 for 50ml and R1 195 for 75ml. Ostensibly aimed at bad boys, it has intriguing notes of tobacco and caviar amid the more familiar (and respectable) bergamot, lavender and woody notes. R670 for 35ml, R950 for 50ml, R1 100 for 75ml and R1 290 for 125ml. A very accessible and appealing take on incense, with amber, patchouli, vanilla, tonka bean, woody and spicy notes in smooth support. Yum! R845 for 50ml and R1 075 for 100ml. Who says night-time fragrances have to shout? This reserved EDP features notes of black vanilla, lavender, apple and mint. Give it time to make an impression. R645 for 30ml, R995 for 50ml and R1 295 for 100ml. We’ve come a long way from the days when only women (and enlightened gay men) used face masks to improve the condition of their skin. There’s been a big change in the last five years, as more men discover the benefits of regularly using a face mask at home. And, hallelujah, no one will question your masculinity. If anything, expect a lot of questions if you’re looking unnecessarily haggard. It’s your SYS (save your skin) buddy, if your most visible (and biggest organ) needs a quick and urgent rescue. And the good news is that there are numerous choices for every skin concern (oiliness, dryness, blackheads, acne, sensitivity, dullness, ageing). It’s a holiday for your face, especially if you’re not actually going on a holiday. Regular use of a really good mask can fool people you’ve just come back from somewhere cool and exotic. It’s the perfect excuse to slow down and relax for essential self-care/self-maintenance. It’s messy and fun. It is for me, anyway. GOOD MESSY FUN: Just one of the perks of using a face mask. It makes for a great Instagram post, if that’s your thing. I used the L’Oréal Pure Detox Mask a few months ago and was impressed with the results. You can read that post here: http://fragroom.com/2017/09/01/beauty-products-for-men/. 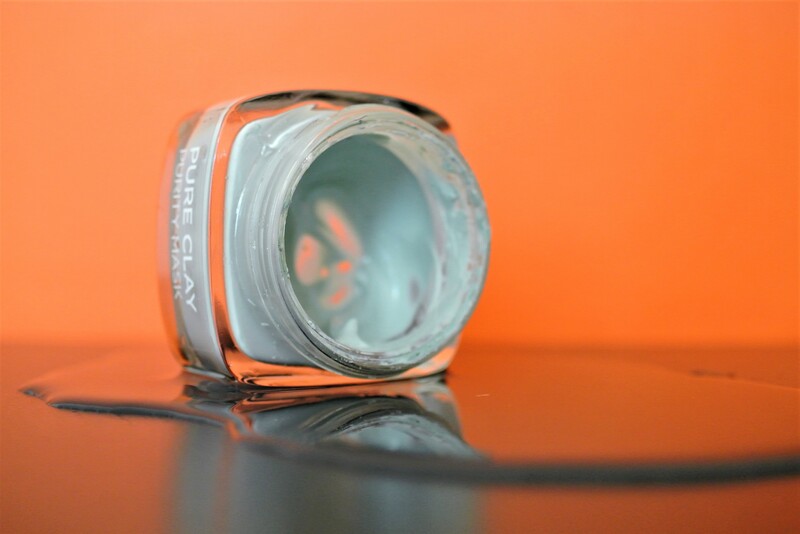 L’Oréal Pure Clay Purity Mask is another goodie from the Pure Clay range. Featuring a blend of three pure clays and eucalyptus extract, it cleans and mattifies the skin without sucking the life out of it. It’s highly recommended if you’re prone to excessive sebum production and need a gentle oil-slick mop-up. I also like that its packaging features lots of easy-to-understand information. It’s the first time I have tried a product from this Italian brand and it’s well worth checking out if you need big-time and super-quick hydration. Its 51+3 Hyalu Complex contains a cocktail of amino acids, vitamins, trace elements, minerals, ceramides, hyaluronic acids and, um, cellular osmo-protectors. This means a deeply moisturising treatment. Grande! Whenever I try a new product (or range) for review purposes, I do my best to ensure that I am not using any other similar products at the same time. This way I am better able to judge the efficacy of that product. After all, I don’t want to confuse any results with another product that’s actually doing all the good work. So for the last month+, I have pretty much been using the QMS Medicosmetics Activ-Skin Travel Kit. 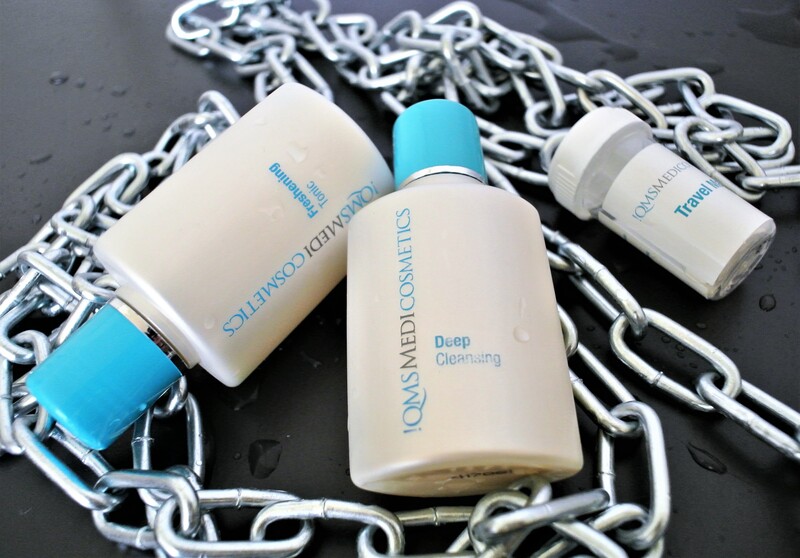 PORE DEEP: QMS Medicosmetics Deep Cleansing purifies the skin. I wish I could say I have been using this Activ-Skin Travel Kit because I have been doing a lot of glamorous travelling. The more mundane truth is that yours truly has been ensconced here at Fragroom HQ in Johannesburg. REVITALISING: QMS Medicosmetics Freshening Tonic purifies, balances and re-freshens the skin. I had never heard of QMS Medicosmetics until their PR invited me to try their Activator Facial. It’s highly recommended for tired and lacklustre skin that needs major get-up-and-glow. I am a sucker for a facial, so didn’t need much persuasion to try it out. While the therapist was giving me the 60-minute version of this facial, she gave me the background on the brand. 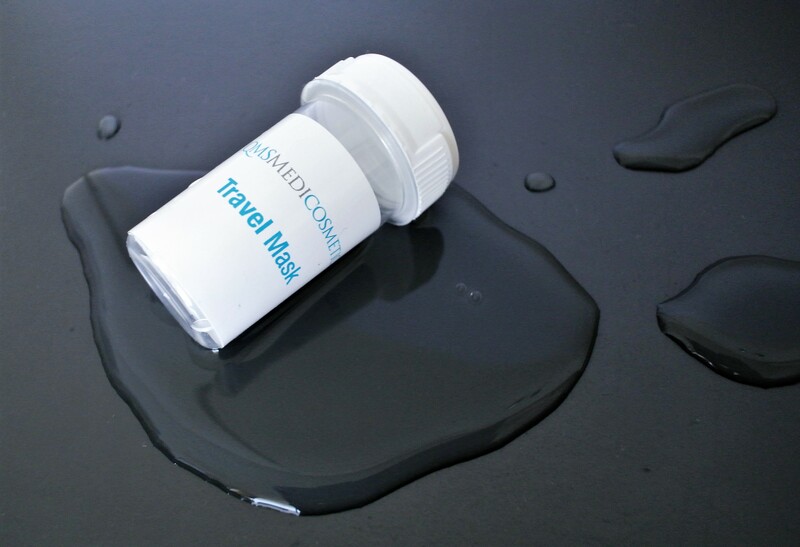 MASK ON THE GO: The QMS Medicosmetics Travel Mask for frequent travellers. I will give you the quick-quick version. Formulated by top German cosmetic surgeon and anti-ageing expert Dr Erich Schulte, QMS Medicosmetics is a medical skincare system that combats the main cause of ageing – collagen loss. It does this through a combination of scientific research, quality ingredients and highly effective delivery systems. The range includes cleansers, collagens, moisturisers, masks and body products. FACIAL WAKE UP: The QMS Medicosmetics Activator-Mini Travel Face Mask features hyaluronic acid and marine collagens to combat tired-looking skin. Collagen is one of the most important proteins in the body and, among other vital functions, gives skin firmness and elasticity. Unfortunately, as we get older, collagen production slows down and (darn!) ageing speeds up. Hello, moisture loss, wrinkles and more. So what about the Activator Facial? It involved a series of thorough steps using various QMS Medicosmetics products. First up, cleansing (Deep Cleansing), exfoliation (Exfoliation Fluid and Gentle Exfoliation Cream) and cleaning off the exfoliation fluid (good ol’ bicarbonate). Then my favourite part: the application of the Algae Mask, which identifies the problem areas and gives them extra attention. The mask entailed covering the eyes and mouth. After five minutes, it was removed in one piece. (I took this mask home for photographic purposes, but accidentally broke it. Doh!) After that, the Activator Mask, Freshening Tonic and Night Collagen were applied. REJUVENATING POWER TRIO: The QMS Medicosmetics Classic Collagen Set consists of Day Collagen, Night Collagen and Exfoliation Fluid. After that intensive treatment, my skin felt like it had been turbo-charged with much-needed hydration and collagen. I am quite realistic with my expectations in this these things, but I was very impressed with the results on the day and the weeks thereafter. I was also sent the QMS Medicosmetics Activ-Skin Travel Kit to maintain the healthier skin effect. The Activ-Skin Travel Kit contains mini sizes of the company’s star performers. It includes the following products: Classic Collagen Set (Day Collagen, Night Collagen and Exfoliation Fluid), Activator Mini Travel Face Mask, Deep Cleansing, Freshening Tonic and 24H Cream. DAY AND NIGHT: QMS Medicosmetics 24H Cream delivers moisture round the clock. The last month has been topsy-turvy, with various projects and deadlines on the go-go. When I am feeling stressed and not taking care of myself as I should, my skins shows it in a big way. 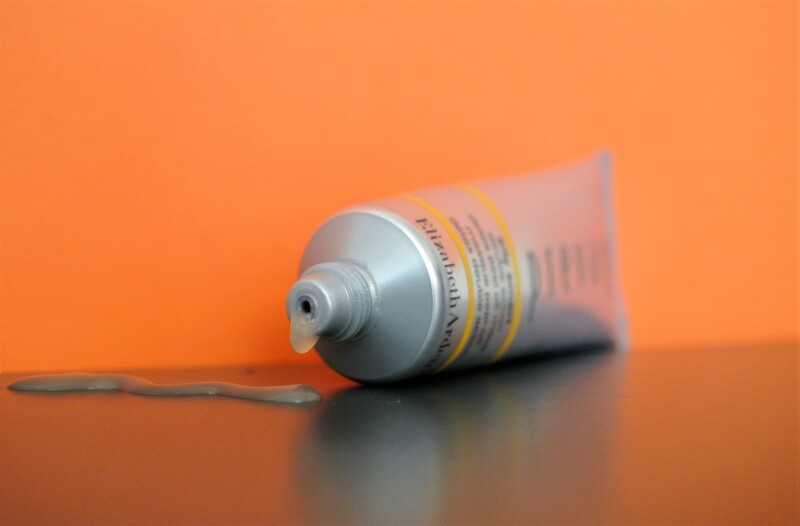 I am happy to report the QMS Medicosmetics Activ-Skin Travel Kit definitely played its part in keeping the worst of it in check. QMS Medicosmetics Activator Facial, R750 for 45 minutes and R900 for 60 minutes. QMS Medicosmetics Activ-Skin Travel Kit, R1 600.